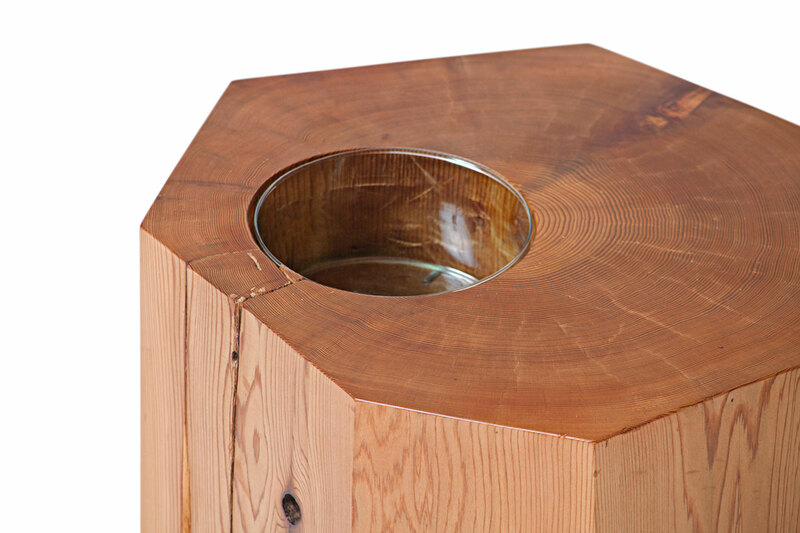 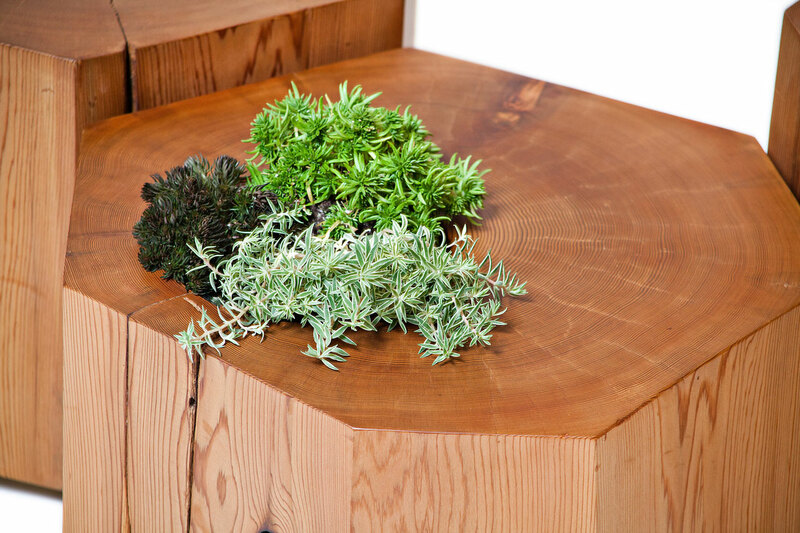 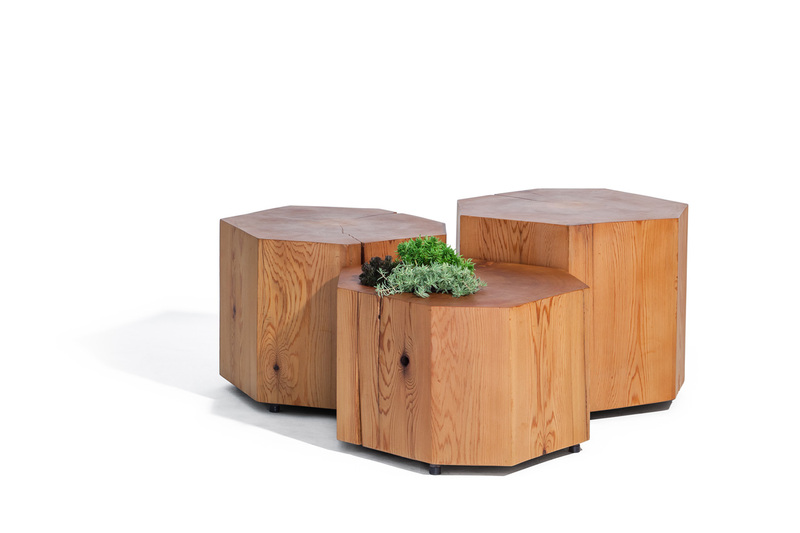 These Western Red Cedar side tables are dual-purpose, bringing a touch of the forest into your home. 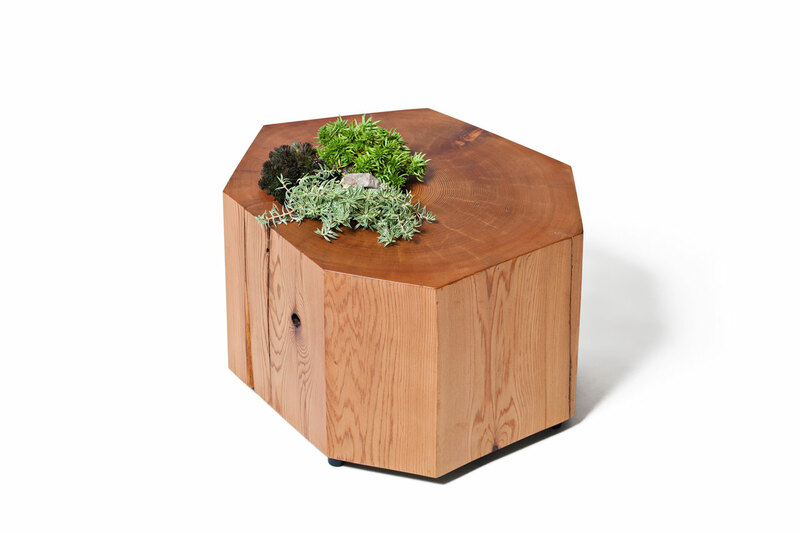 Mimicking rain forest stumps that grow mosses and ferns from their tops, a round glass insert allows a small arrangement of plants to add a living element to a functional surface. 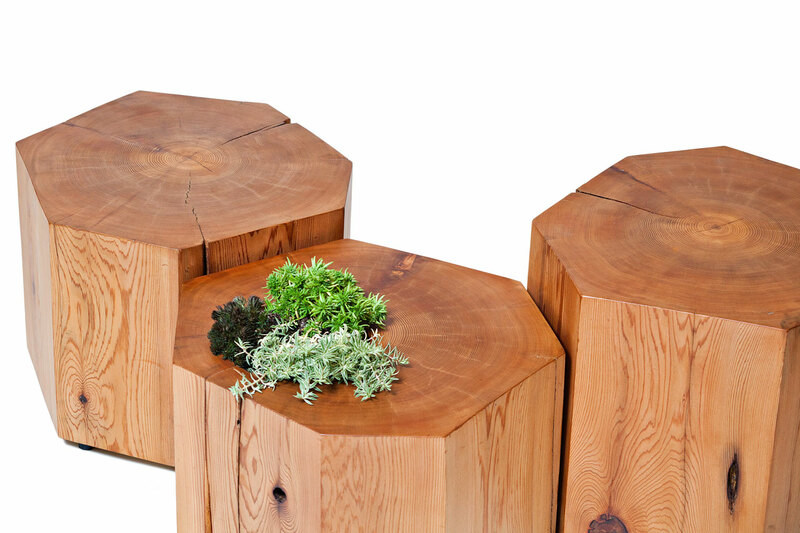 Each Nurselog side table is custom made — no two are alike. 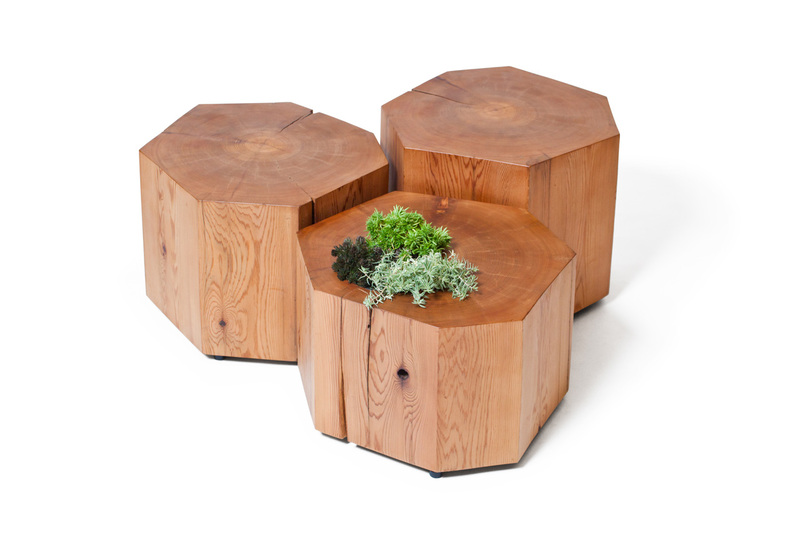 Perfect for outdoor living areas: when left to weather in the elements this piece will acquire a natural silver finish.